It all began in 1995 when Inger Ellen Nicolaisen came in contact with the Globos Namai Children's Home in Lithuania by chance. The children had been given some bottles of shampoo she had mailed, and in return she received some photographs of the children laying with the shampoo bottles under their duvets - like they had been given little teddy bears. The pictures touched her heart and she and her oldest daughter, Linda, decided that they wanted to do more for the children in the children's home. They travelled to Lithuania to visit the home. When they arrived, they met 32 children who lived under very poor conditions. They immediately took action to improve the lives of the children.  This was the start of a long-term commitment and the private foundation "A Hand to Children" was established on November 15th, 2000. Our goal is to help children in children's homes, as well as those in difficult situations, to give them better lives and hope for the future. The foundation is concerned with the rights of children and supports several projects involving children. We ensure that they receive clothes, food, medicines, clean water and education, etc. The foundation closely monitors its projects and ensures that all donations go exactly to what they are intended for. All work performed by the foundation is unpaid and done on a voluntary basis.